From the Washington Examiner: In-home health care workers in Connecticut, like their counterparts in Michigan, may see so-called union dues deducted from paychecks they receive through a state subsidy for the poor . . . 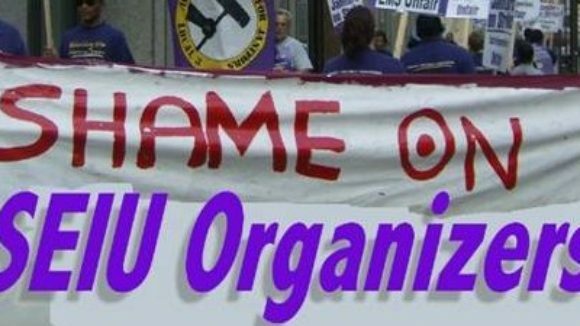 The Service Employees International Union (SEIU) is trying to unionize in-home health care workers, based on the theory that they qualify as public employees because the money paid to them is subsidized by the state. "The only notice home health care workers receive concerning a union election is a nondescript mailing asking them if they wish to join the union," says the Competitive Enterprise Institute (CEI). "Under this process, the union only needs to receive a majority of returned cards—not a majority of all workers—to be recognized as those workers’ exclusive bargaining representative." The SEIU achieved this goal in Michigan, with the result that even low-income families who receive a Medicaid subsidy to take care of their adult, disabled children are losing $30 a month to the union. "Our daughter is 34 and our son is 30," retired police officer Robert Haynes said of the Michigan unionization. "They have cerebral palsy. They are basically like 6-month-olds in adult bodies. They need to be fed and they wear diapers. 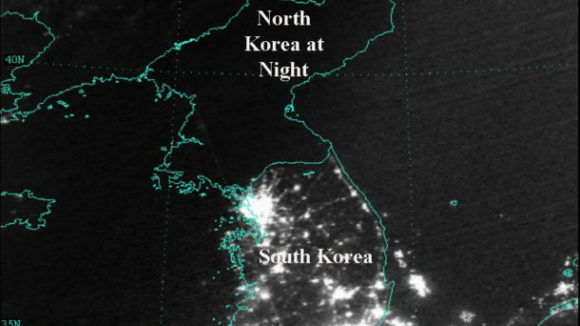 We could sure use that $30 a month that's being sent to the union." The Democrat Budget chief of the Oregon Senate is trying silence critics of an organizing drive that added more than 7,700 workers to the union's membership and turned it into the largest in the state. Thanks to campaign contributions, Sen. Richard Devlin is moving to tip the scales in favor of the union organizers. 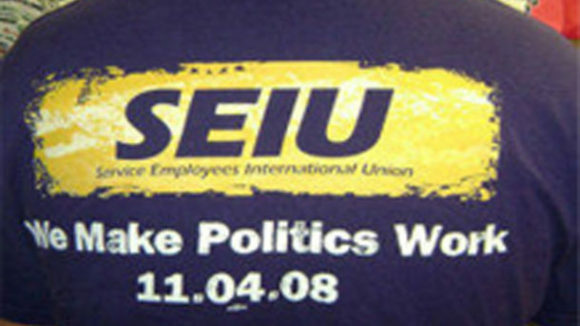 ﻿Jeff Mapes, The Oregonian reports: At the behest of Service Employees International Union, Oregon Senate budget chief Richard Devlin sought to stifle criticism of an organizing drive that added more than 7,700 workers to the union's membership and turned it into the largest in the state. During a drive to organize workers who help care for developmentally disabled Oregonians, Tualatin Democrat wrote a letter to officials who help employ the workers, warning them not to say anything even "mildly" critical of unionization. He also suggested that a successful union drive would help boost legislative support for services for Oregonians with developmental disabilities. . Several officials who received the letter said it appeared Devlin tried to tip the scales in favor of the union's expansion. Union Consultant Charged With Overseeing Union Financial Reports (Source: May 2011 NRTWC Newsletter) On his first full day as U.S. President, Barack Obama issued Executive Order 13490, otherwise known as the Ethics Executive Order. Under E.O.13490, presidential appointees are required to sign a pledge affirming that, for two years after the day they are appointed, they will not "participate in any particular matter involving a specific party that includes a former employer or former client." "Transparency and the rule of law will be the touchstones of this presidency," Mr. Obama vowed. Unfortunately, almost from the day E.O.13490 was first issued, the Obama Administration has repeatedly ignored its letter as well as its spirit when it comes to appointees whose job is to oversee and regulate labor unions. Thousands of Union Bosses to Be Exempted From Disclosing Any Conflicts of Interest Last month, the National Right to Work Committee issued a report on one of the most egregious examples of an Obama appointee making policies that clearly benefit his former union-boss clients: John Lund, now the director of the U.S. Labor Department's Office of Labor-Management Standards (OLMS). 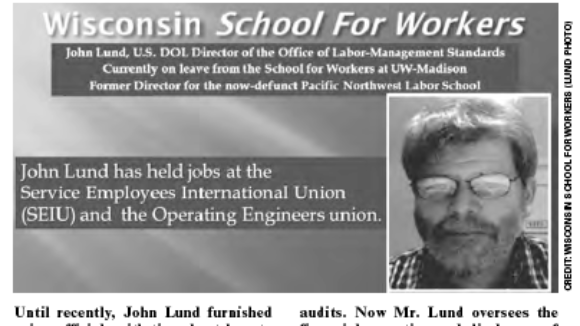 Mr. Lund is a former employee of the Service Employees International Union (SEIU) and the International Union of Operating Engineers (IUOE/AFL-CIO). And he is currently on unpaid leave from the Madison-based University of Wisconsin School for Workers, of which the AFL-CIO and many other unions, as well as many union benefit funds, are clients. 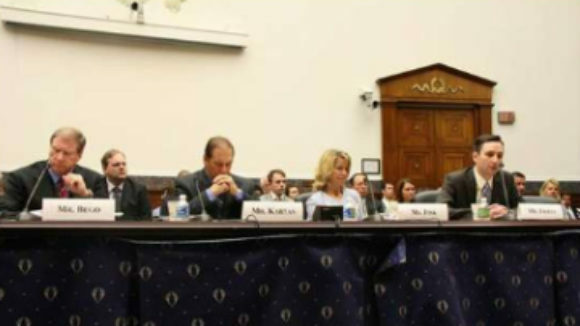 But now Mr. Lund is responsible for overseeing federally-mandated union financial disclosures and criminal investigations regarding union financial irregularities and embezzlement!